Bringing the arts to the Mountaintop. Click on thumbnail images to enlarge the format. “To be in the country among the trees, rolling hills, blue sky and earth. To walk along a wooded path and visually drink in all the surrounds me. To take a deep breath and inhale the crisp clean air. To exhale amid the beauty of nature before me. To give a sigh and feel at peace will myself and my surroundings. To capture on canvas these feelings of tranquility evoked by nature. 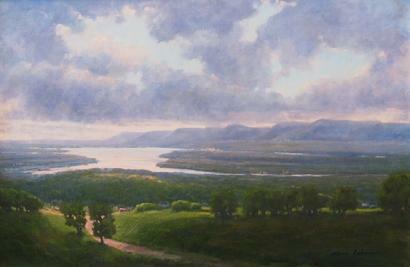 Mara has resided in the Catskill Mountains of New York for over five years. Growing up in New York City, she began oil painting lessons at age ten. Family travels, as well as escapes into the country often proved to be inspiring subject matter for her paintings, and still are to this day. Her traditional and representational style of painting quietly invites viewers to share her tranquil contemplations. 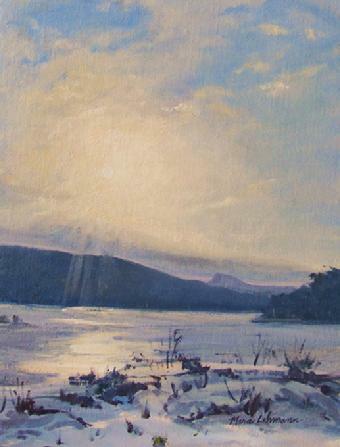 Her muted tones are subtle and richly rendered, imbuing her paintings with a profound sense of peace. 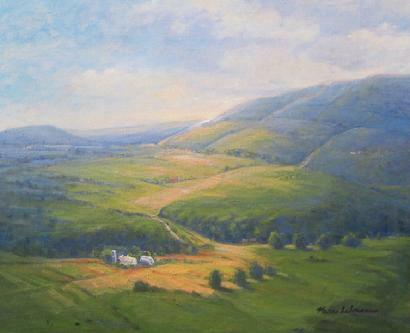 Shifting patterns of lights and shadows provide drama to her renderings of waterfalls, working farms and panoramic views of the Catskill landscape. 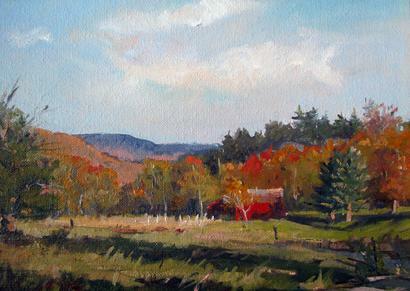 Mara has most recently exhibited her landscape paintings at many galleries in the Catskills and Albany area. 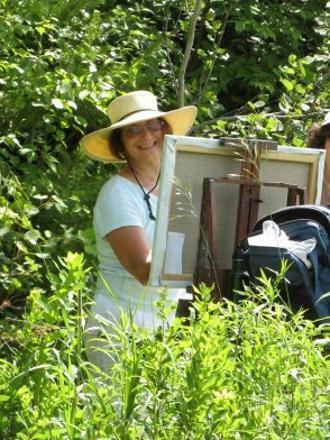 She has been an active member of the Windham Arts Alliance, helping to organize and plan Art Fest, as well as children’s activities on the Mountain Top.